The first evening screening for tonight’s Canadian Film Fest at the Royal Theatre begins at 6:30, and takes us down some interesting dramatic roads. The screening’s short, Kate, directed by Illya Kimkiw, written and starring Holly Merritt is a beautiful, almost dreamlike film that examines the baggage and the ties we carry and form from relationships, and how it affects and impacts the rest of our connections. A chance encounter between Grace (Merritt) and an ex, Ben (Steve Boyer), allows the two to not only catch up, and almost rekindle their romance, an undeniable chemistry exists between them, but also lets them re-examine the events and the cause of the dissolution of their relationship. Both Merritt and Boyer bring a vulnerability and an honesty to their performances, you can see that they both still care for one another, and there is a whole ‘what could have been’ feel to their interactions, but the things that Ben carried with him inevitably tore them apart. Shot in Toronto’s High Park, the short looks gorgeous, and I’ll be looking forward to seeing what Merritt comes up with next in terms of writing and acting. The feature, H&G, has a lot of names behind the scenes that Sue Maynard and I know, the director, Danishka Esterhazy, who co-wrote the screenplay with Rebecca Gibson. The duo produced it alongside a couple of other ladies we know as well, Rebecca Sandulak (congrats on the little one by the way!) and Ashley Hirt. Using Esterhazy’s established style of updating classic fairy tales, this time, the filmmaker takes on the classic Grimm Brothers Hansel and Gretel. Krysstal (Ashley Rebecca Moore) was never truly destined to be a mother, or perhaps came to it too early, as she seems to intent on going out, partying and finding a man to take care of her. When she gives the occasional passing thought to her children Gemma (Breazy Diduck-Wilson) and Harley (Annika Elyse Irving), its to make sure that she uses them to appropriate groceries from the church social. When her latest fella leaves her by the side of the road, and the two kids are stranded alone in the woods, it’s up to the children to survive together, and hope to find their way home. As they wander the woods, they come across a home, where, inside, they always have enough to eat, and a bed to sleep in, but the home’s occupant, Brendon (Tony Porteous) may not be all he seems, and may be harboring a dark and terrifying secret. 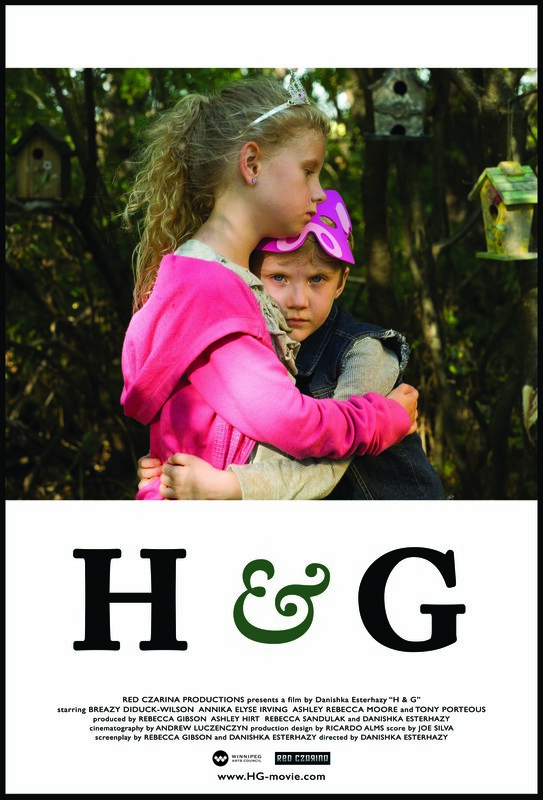 H & G is a gentle, slow-moving film that updates the classic tale in a new way. Tickets for this screening are still available at the door, so get out there and have a look at what Canadian talent has to offer!